4914 100% of this flight was flown online on IVAO. Checked by OnlineCheck. 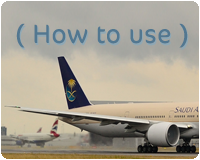 Saudia Virtual (SVA) is a Virtual Airline for All flight simulator platform user & we are not affiliate with real world Saudia Airline.